Why Choose Pure Dental Health? We aren’t satisfied with our work until you are satisfied with your smile, so hold us to it. Your smile is our passion. We want it to be bright and confident so to spread the power of confidence in others. No matter the scope of the procedure, your comfort is the key to its success and our first priority. Our team holds high standards for everyone involved. Our culture is centered around building lasting relationships with those we provide for. Welcome to Pure Dental Health. 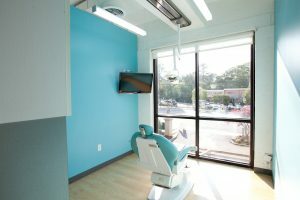 With convenient office locations in Buckhead and Dunwoody, our modern dental practice offers high quality dental care and a unique patient experience. Our dentists provide comprehensive dental care to patients in Atlanta, Dunwoody and the surrounding communities in a warm, relaxing atmosphere delivered by a friendly and professional staff. The moment you walk into our office, you will see that our dental practice is different from most. From our patient amenities including valet parking, flat screen televisions, hot scented towels and blankets, noise cancelling headphones, a beverage station and an Internet Bar, to our clean and contemporary design, you will feel like you are visiting a spa instead of a dentist office. At Pure Dental Health, we have a team of talented Atlanta dentists who put patients first. Our entire dental care team at our Buckhead and Dunwoody offices take the time to get to know each and every one of our patients so that we can provide personalized dental care to meet your individual needs. Our goal is for you to have an enjoyable, positive patient experience whether you come in for a routine dental cleaning and check-up or a major dental procedure. Together with our friendly and professional staff, Dr. Justin Scott provides comprehensive dental care including dental cleanings and check-ups, fillings, crowns and bridges, root canals, porcelain veneers, dental implants, restorative dentistry and cosmetic dentistry. We also offer sedation dentistry to keep patients relaxed and comfortable during dental procedures. While our Buckhead Dental office is easy to get to and centrally located in the Atlanta area, we also serve patients from a state-of-the-art office in Dunwoody, GA. Pure Dental Health offers high quality, affordable dental care delivered in a warm, relaxing atmosphere. We offer competitive pricing and accept most major insurance plans. Our practice also offers extended hours to allow working professionals who live outside of metro Atlanta but work in or around Buckhead to visit our office before or after traditional working hours. 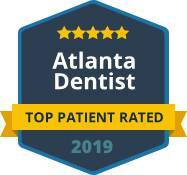 Patients in and around Atlanta no longer need to settle for a boring, unpleasant experience when visiting the dentist. If you are looking for a dental practice that provides high quality dental care delivered by a competent, professional staff in a warm relaxing atmosphere, please contact Pure Dental Health in Buckhead or Dunwoody today. We look forward to getting to know you and to helping you take care of your smile.